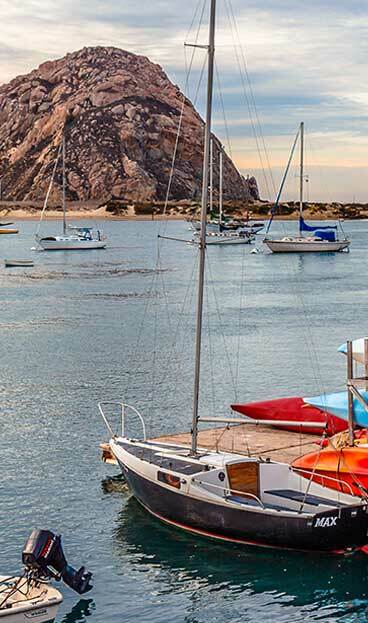 Morro Bay has three distinct aquatic districts to explore: the beach, they bay, and the harbor. Each offer their own set of activities, wildlife, atmosphere, and experiences to uncover. The beach is where relaxation and sport collide. Over six miles of continuous sand to wander. Our bay is a protected sanctuary brimming with life. Kayak or paddleboard through its calm waters or bike along its shore for beautiful vistas and meandering paths. The harbor is a working harbor where fisherman return with daily catches that are served at our local restaurants and is also where you can find our population of Sea Otters basking in the sun.